Sonam Kapoor and Anand Ahuja are tying the knot on May 8 and finally the families released a joint statement yesterday confirming the same. Sonam Kapoor and Anand Ahuja’s wedding celebrations kicked off with a star-studded Sangeet function and needless to say, bride-to-be, Sonam Kapoor stole the show. Also, spotted were the gorgeous Kapoor girls and Sonam’s friends from the film industry. The Kapoor and Ahuja families take great joy and pride, in announcing the marriage of Sonam and Anand. 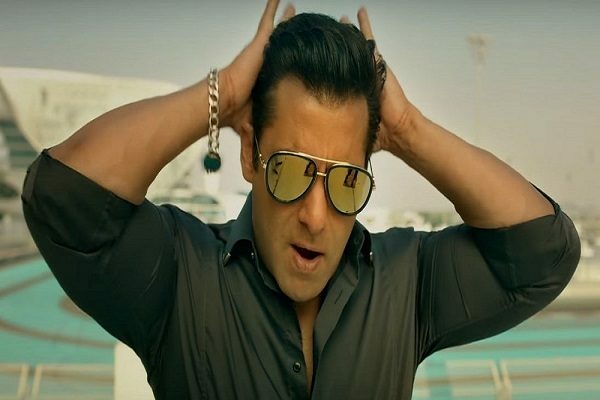 The wedding will take place on May 8, in Mumbai. Read Also : Deepika Padukone, Aishwarya and Sonam Kapoor will join Cannes fest. 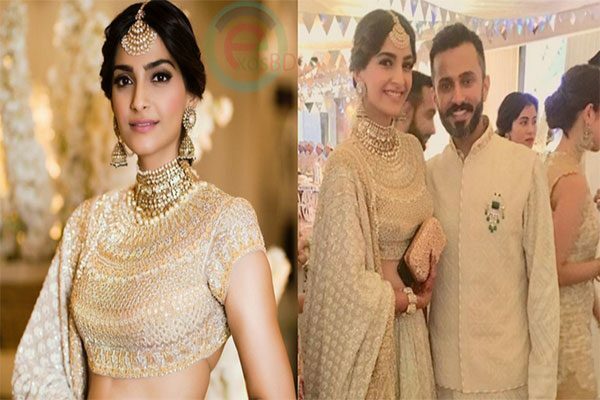 Bollywood actress Sonam Kapoor was elegance personified as she chose to be in sync with the ‘shades of white’ dress code for her sangeet ceremony on Monday evening, a day before her wedding to Delhi-based businessman Anand Ahuja. Sonam wore a traditional dress that featured a heavily-embroidered gold blouse and ivory-gold lehenga. She matched the dress with traditional jewellery-jadau neckpiece, maang-tika and jhumkas. Her hair was neatly done up in a long braid and adorned with a white garland. Several celebrities and close friends turned up at the function dressed in different shades of white. The stunning Kapoor girls, Janhvi and Khushi slayed in white and golden ensembles reminiscent of traditional South Indian lehengas made famous by their legendary mother, late Sridevi. While one of Sonam’s close friends and co-actress of “Veere Di Wedding” Swara Bhaskar flaunted her beautiful Manish Malhotra designed white and golden lehenga, father Anil Kapoor and brother Harshvardhan Kapoor looked dapper in white kurta pyjamas. Though media was not allowed to go inside, all the guests came out and greeted the photographers. Sonam’s fans will have to do with sneak peeks and videos shared by her friends and family on social media. Sonam and Anand are to tie the knot on Tuesday at 11 am. The reception and wedding party will take place in the evening.